Summer camp is a cherished summertime tradition for children. Just because your child eats gluten free doesn’t mean he has to suffer without summer camp this year. There are actually some camps that specialize in the gluten-free diet, which you can find online; other camps specialize in other restricted diets, such as for diabetic children. You don’t have to choose a special camp for your child, though, as he may want to go to the same summer camps as his friends. Writing your goals down on paper (or on your computer in this computer age) is essential. A recent study was conducted recently to find what made Harvard’s most successful graduates so successful. It turns out that the common denominator among these prosperous alumni was writing down their goals. Luckily, you don’t need a degree from Harvard to do that. Medical researchers have noted for quite some time that osteoporosis and celiac disease commonly appear together. If you have either condition, it’s important to understand this link and to know what symptoms to look for. Being informed on this subject can have priceless health benefits. School Library Journal is Raving about Danny the Dragon! 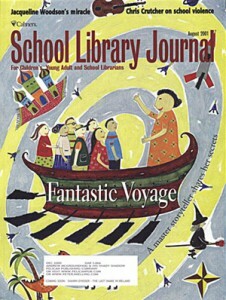 The renowned and distinguished School Library Journal LOVES Danny the Dragon just as much as the kids do. A terrific review of the Danny the Dragon Meets Jimmy DVD was published in the June 2010 issue. I’m very pleased to share it with you below. Other research suggests the health benefits of social support. One study, published in the journal Cancer, followed 61 women with advanced ovarian cancer. The women with lots of social support had much lower levels of a protein linked to more aggressive types of cancer, and higher levels of a protein that boosted the effectiveness of chemotherapy. In 1989, David Spiegel, MD, a professor of psychiatry at Stanford University, published an influential paper in Lancet, showing that women with breast cancer who participated in a support group lived twice as long as those who didn’t and reported much less pain. Sheldon Cohen, PhD, a psychology professor at Carnegie Mellon University, has shown that strong social support helps people cope with stress. Other studies have demonstrated that less connected people tend to die sooner after having a heart attack than people with a strong social network and that having a large social network may even reduce chances of catching a cold, even though you’re probably exposed to more viruses when spending lots of time with others. Baking cookies goes back a long way in my family, and I was quick to establish it as a Turbin family tradition with my own kids. When I was diagnosed with celiac disease and adopted a gluten-free diet, I began accumulating gluten-free recipes for cookies and other baked goods so the tradition could carry on.